Hello, my Name is Don, my brother’s name is Jim, and we want to speak directly to you…the lurkers. We know you are out there. You come to the website every week and you look at what we post, and you read our comments. You find this site entertaining so you keep coming back, but you don’t interact, you just watch. 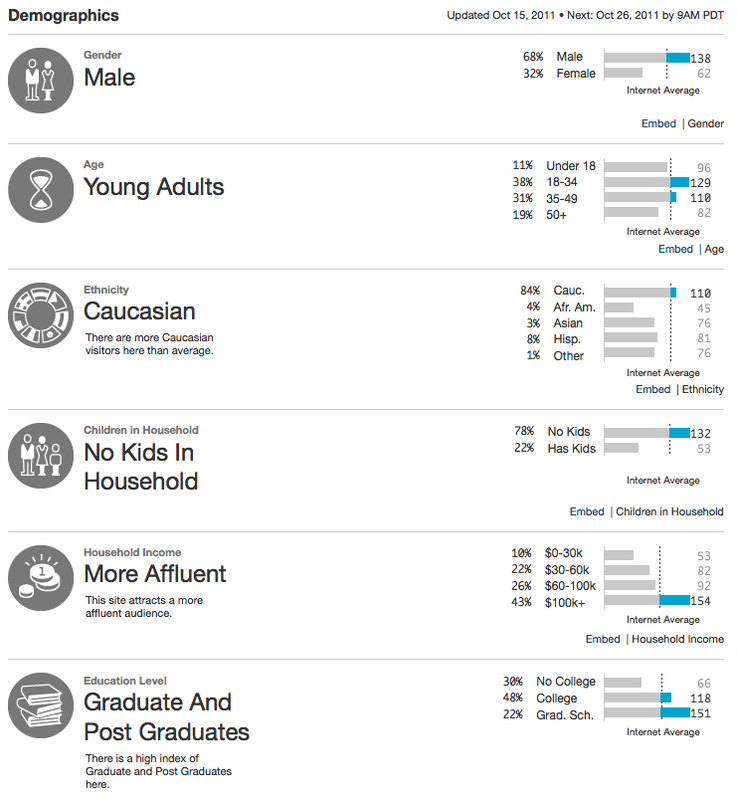 You are mostly white, college educated males that don’t have any kids. You do pretty well for yourself, and you are mostly between 18 and 49. This is much more information about you than we had last year when we did this. Last year we just knew you existed, but that was all. We want you to be comfortable to talk to us, so we will let you know that Jim and I both still fall inside all these parameters too…see, we already have something more in common than you thought! Last year we did this, and it was a huge success, we got about 40 people to come out of the shadows and many of them are still commenting regularly. Sadly it is still less than 2% of our audience that actually engages in conversation. We want to increase that number this year! C’mon you lurkers, step out of the shadows and into the light, we promise it won’t hurt a bit. Leave us a comment and let us know why you visit the blog regularly, what is your favorite drink, and what you would like to see done to improve things around here. Now’s your opportunity to make your voice heard! C’mon, Clooney, get with it! I also heard that Will Smith frequents this place. C’mon Will who is the REAL legend? Also, That 32% female statistic might seem small, but it’s a lot higher than other booze related sites! We love the ladies around here. My name is Zac. My favorite drink is beer, almost any style (IPA’s, DIPA’s, Imperial Stouts, Sours, Belgian styles, etc.). One thing you could do around here is to keep the politics out of the discussion. I get so tired of those commie-pinkos who hijack the comments for their own personal agendas. Thanks. Now, I’ll go back to lurking. Hi my name is Jake and I’m a lurker. “Hi Jake…”. Posted a few times, but typically just check out the discourse on the topics that are interesting to me (which are most). Fit the profile, except I have two kids under 4 at home. My love affair with whiskey is actually a byproduct of having kids. After they are down for bed, I don’t have the time or energy to put back a few beers. A nice pour of good whiskey takes me to my happy place just before my wife and I inevitably fall asleep on the couch watching TV (usually before 9:30). Love the reviews, especially the “diamonds in the rough”. I’ve been drinking Old Weller Antique as my regular pour since Don recommended it. Hi Jake! Thanks for stepping into the light, even though you have a time or two before. It’s good practice. Yeah, Jim and I both have kids too. I actually have one who is married already. My wife and I always said we had kids when we were young and stupid so we had a life left when they were gone! I love Old Weller, but I rarely drink it, because I have so much other whiskey I “need” to drink, I rarely get around to old favorites. Great stuff though. If you get a chance try the Pappy Van Winkle 15 year old. Its like OWA on steroids! YOW! Thanks Don. My wife picked me up a bottle of Pappy 20 year for my birthday last year. What a woman! I told myself that I’d savor it, but it ended up only lasting about 2 weeks! Your wife said the same thing after you were married. She says that EVERY two weeks! BTW, Don should totally have your gmail address! So…is Bear Galligan your alter ego? I peruse your website. I often enjoy a cold beverage along with a cigarette. I actually stumbled upon this link looking hot young single bears. This will have to do. Agreed, if it is just Sierra Nevada Pale Ale and Fat tire, they can keep it, I can get it cheaper at COSTCO, but if it gets more interesting I might be more inclined to take a longer look. As for the parking lot, things are never crowded in Idaho. One of the few nice things about living here! Well your older brother is fortunate to live so close to Sandpoint and one of our best breweries in the state Laughing Dog. Selkirk Abbey Brewing is also close to opening in Post Falls as well. I however live in South West Idaho around Boise. There are a couple interesting breweries here. Payette is the newest, and they are pretty good, but I think even better is Beer Valley Brewing over in Ontario, Oregon. I’ve stepped into the light. I’m Steve, King’s buddy. I like beer, and I’m a big champion of the schlafly 2008 bb stout that Jim admires. I like the site and it’s one of the few that’s not blocked at work, but then again I probably should be watching the stock ticker instead of following these blogs all day! Don’t ever ask me to shave your back again after that comment Mister! Steve really made my wife mad the other day, during an epic beer tasting after Bourbon Chase he opened a Schlafly Raspberry Coffee stout she wanted me to save for her. Guilty by association I tell ya!!! Jay did it, and you’re still a douche. I can give her my review if she wants, 5 stars delish. 😉 Shouldn’t you be camping? That Jay…yeah, he’s a real piece of work! And you’re right King is a Douche! don’t leave until the morning, but I may pitch a tent tonight….hey-o! Agreed on King. Sam Adams wouldve been a great buy and hold bout 8 yrs ago, but other than that, to my surprise, there isn’t many craft companies that have gone public. Only other one I know about is the Craft Brewers Alliance. That has done very well of late. I know I’ve posted a few times before, but what the hell. My name is Scott. Guess what letter my last name begins with? I grew up in a household that didn’t drink, so the first beer and whiskey I ever had can accurately be described as either “Crap” or “Piss” depending on your mood. However, as life has progressed, that has changed. Military service gave me the chance to live in England for a couple of years, so the bitters, ales, and single malts I was introduced to radically changed my tastes and while I still love bourbon (especially in a mint julep in the summer), I am definitely a single malt guy. While it costs a small fortune, the Balvenie 21-year is my favorite I’ve had thus far that I actually bought a bottle of. And my wife likes Laphraoig, which I find just weird. It’s like gargling fermented seaweed. I live on the VA side of DC, and we’ve got some interesting breweries either just opened or opening soon, so I can’t wait to get back home and start getting to more of them. If you’re interested in reviews, I’d be interested in tacking a crack at writing on an ad hoc, beer-soaked basis. Hey Scott, I think I remember you from previous posts. We are always open to guest posters, so just say the word and we will get it going. My love affair with all things whisk(e)y took an abrupt turn in college when I had a few dozen too many! I swore the stuff off for 25 years. then slowly I began to get back into them. I realized that they all don’t taste like licking the bottom of an ashtray, and I’ve grown to love some of the highland and speyside single malts. I especially like the floral ones, they are my favorite. Glad you are stepping into the light, and welcome! Alright, alright. Zac here, and I drink mostly beer in the form of Pales and IPA’s, pretty similar to the other Zac that posted earlier, which is hopefully purely coincidental. I home brew as well and plan any travel around what brewery I will be passing by or what not,(i.e. Lb. Brewery in Hayes KS, worth the stop along I-70, a must because I-70 in Kansas is the world’s largest treadmill.) I also have an affinity for logo pint glasses but only from breweries I visit. I have two kids at home too. I’m also pretty fortunate to have a great local moonshiner to boot. I buy good beer wherever I can find it! Funny about the lurker blog, I’ve pulled up the comment tab before but then didn’t post. So we gotcha! That is why we do these posts every year. We know there are others like you out there that think about making a comment but then hesitate and don’t. Well, you will get a lot of love around these parts because we love Pales and IPAs too. Dales is one of my brother’s favorites, and was one of mine too until they pulled out of Idaho for greener pastures. And of course who doesn’t love a big hoppy IPA? Local Moonshine too? You’re killin’ me Zac! Love it! Glad to have you here. Definitely don’t be a stranger, we love to talk to everyone! I don’t know how I ended up here, but I liked the posts and put it in my feed reader. My favourite drink is beer, generally towards the hoppier end of the spectrum. Last night I drank a Sierra Nevada Estate Ale. It was pretty good. That’s ok, we’ll let you stick around anyway Matthew! I think we get a lot of East coast and West Coast people checking out our blog, and there are definitely higher salaries on the coasts. I’ve heard the Estate ale is pretty good, although i haven’t tried it myself. Have you drank Whiskey? If not we will have to work on you a bit. We like everyone we talk to to be well rounded! 🙂 Seriously there are a lot of good whiskies out there for not a lot of money. Great to have you join in the fray, and don’t be a lurker anymore! Man, I love the Estate Ale! Fresh hop season is one of my favorite times of the year. If I remember correctly, I was only a lurker for a few days. I found this blog through a link that Avery posted on their Facebook page. And I’ve been a scourge ever since. Me too. Up here in BC, we have an amazing fresh hop beer called Driftwood Sartori. It was released last Thursday and by Sunday most places were out of it. One place I went to had sold 240 bombers in 4 days! Even after they’d limited it to 6 per person. I’m actually just about to head out and hunt down some of the Deschutes Fresh Hop Mirror Pond, which I’ve heard is a lesson in how to make an awesome pale ale awesomer. I tried the Fresh Hop Mirror Pond the other week and really liked it. I should have thought to try it next to the regular Mirror Pond. Hi. 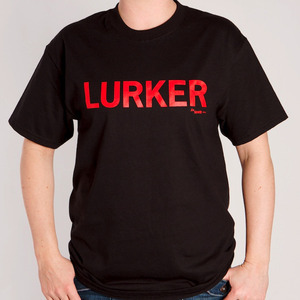 My name is Matt and….. Im a lurker. I have been a lurker for about……. over a year now. I like the beer and whiskey themed entertainment/opinion/information that you guys write about. Im a beer drinker but you guys have made me veer into bourbon about 6 months ago but I have been negelecting my new hobby recently due to that bourbon is kinda pricey for me. I dont not fit into that affluent category. My birthday is coming up and there is a place in Denver called The Whiskey Bar that has flights of whisky. I would like to try a flight of single barrel/ cask strength bourbons. Any recommendations? Thanks guys! And keep up the good work. Hey Matt, glad you finally came forward! Over a year without a peep? Wow. You are a wall flower, but don’t you worry we’ll dance, oh we will dance! Love the fact that you gave bourbon a try because of what you have read here. Let me turn you onto a couple really good and not too spendy bourbons. First is one of my favs it is Old Weller Antique. It will run you about $25 bucks for a bottle. Next is Jim Beam’s Devil’s Cut. This is about $20 a bottle and tastes way more expensive. Great stuff. Finally Ancient Ancient Age 10 Star. I love this stuff and last time I was in the liquor store they had it on sale for $12 a fifth! Anyone can afford that! As for your flight, For cask strength I would try Bookers, Willett, and any of the Van Winkle line that they might have. Single barrel stuff is fun too. I’d give Kentucky Spirit, Henry McKenna, Knob Creek Single Barrel Reserve, and wathen’s a try. I think these are all good bourbons, and ones you should be very happy with. Happy birthday, and don’t be a stranger around here. We have quite a Denver contingent around here. I’m Meredith, from NJ and I’ve been a lurker for about two years. I’m more into beer than whiskey, but I appreciate posts on both. My favorite part of your blog is probably the witty banter between the two of you. It’s actually not a fear as much as I’m pretty much stuck on Irish whiskey. I’m in love with Redbreast…but unfortunately it gets a bit pricey. I generally read your blog at work, and commenting on websites looks much more unproductive than simply reading them. I almost commented that you’d need to add more yeast if you were to bottle condition your old as hell homebrews (they’re both fine, btw), but it was already 5pm and I figured you’d have asked if you didn’t already know. But since I’m commenting now, if you ever need to know anything about everything homebrewing, check homebrew.stackexchange.com. Thanks, I’m sure Jim would like to know that. I don’t think he knows too much about homebrewing, other than he doesn’t like to bottle them! He gets way too nervous. Glad you are checking us out, and you should put us on your phone so you can comment over lunch or something. Good to hear from you, and comment as much as you can. We understand about the work thing. Believe us! Hi, long time listener, first time caller . . . I don’t actually remember when I first *stumbled* on to your blog but it has been over a year. To help with the demographics: Male, 35-49, caucasion, two kids (t-t-t twins Basil), post graduate degree. I’m mostly a beer drinker (love seasonal beers) who dabbles in scotch – and I have to agree with Meredith, I enjoy the brotherly banter, probably because I have two brothers of my own. I really enjoy the blog, kep up the good work. Thanks Tigger! It is really blowing my mind how many people are coming out that have been following us for over a year. Just blows me away, and makes me feel very privileged to have such a following. Just goes to sho, PT Barnum was correct, there is a sucker born every minute! 😉 Sounds like you mostly fit the demographic around here. Twins! YOW! that has to be a lot of work! We were fortunate that we never had 2 in diapers at the same time. I think that would have driven me to drink even more! I love seasonals and have been looking forward to several pumpkin beers, but there is a real durth on the market right now in Boise. Oh, plenty of shock top and Blue Moon, but Who wants that crap! Glad you decided to post, and I hope to see you around these parts a lot more. Thanks! Hello, my name is Tim – and I’ve been a lurker for a couple of months now. Was a pretty casual drinker for a while, and then got into some gateway things like Guinness and before you know it – I was getting into the hard stuff. Dogfish, Founders, Left Hand, Brooklyn Brewery. What, you were expecting heroin? What kind of person do you think I am!? Anyway, I appreciate your postings on everything beer, and I’d like to think I’m becoming increasingly interested in the whiskey side as well! Lookout – we’re a “gateway” blog! Pretty soon you’ll be bidding on rare beers on eBay wondering how you got to such a point! You guys have seen me comment here before, been following for about 6 months now. I’m partial to VT beers and my own homebrew. About to step up to AG. Could be lots of gain though. Look out! Here comes a lurker! My name is Lee and MistaVista up there is my dad (Hey, Pops); I fit in with the demographics fairly well. I’m a teacher, married, 39 years old, etc. I do bump the curve a bit with my four children, so there’s that. I have no idea how I stumbled on your blog. I’ve been a craft beer geek for a few years now. I’ve always loved good stouts and porters and recently have been digging the sour side of things also. I live in Southern California (in the strangely-named Inland Empire of Riverside County) so I get more West Coast IPAs (and DIPAs and TIPAs and IIPAs, etc) than I can really enjoy. I’ve learned recently that I really enjoy whisk(e)y also. My first love is rye. Bourbons are right there also. I’ve dipped my toes into Irish and Scotch and have found a couple I really enjoy. I dig the journey. Thanks for posting. I like the personal feel to what you two do. Anyway, thanks for stepping into the light. Old Gym Socks… is that by Goose Island? I was with the family at a local fantastic pub and trying to remember what style a particular beer they had on tap was without actually asking the waitress. I used MistaVista’s phone to look it up and found a review that mentioned the smell of SweetTarts and cat pee. Hi, my name is Dermot, and I am yet another lurker. I am slightly ashamed of the amount I just spent on a bottle of Founder’s CBS in the secondary market. I also agree that Southern Tier’s Pumking is the best pumpkin ale. My girlfriend was my designated driver for the last Dark Lord Day, and I am very grateful for that. I will try my best to not lurk in the shadows of the website in the future. Keep up the great work, Don and Jim! Hey Don! I found it in a sketchy Craigslist ad being sold for $100. It seemed slightly better than the e-Bay bidding wars, so I decided to go for it. Being a grad student, I sincerely hope I’m not sliding down a slippery slope here. Hi, I’m Dave. I’ve been lurking for about a year now. Not really sure how I stumbled across you guys, but was hooked when I saw you follow two of my favorite things in life, beer and whiskey. Mostly beer though. Recently moved to Wichita, KS, from Charleston, SC. When it comes to beer, I don’t discriminate, I love them all. However, if I “have” to chose, I’m grabbing an Imperial Stout or Barley wine. As for the other libation, just give me a good single malt and I’m happy. Yep, that’s about all I have, I’m going to go bad to lurking now. Oh yeah, thank you for all the great posts. Yeah Dave, Jim and I too tend to gravitate towards the big boy beers, the dark and malty ones, but we love big IPAs and others as well. You should not go back to lurking! We need people like you to participate,. we’re pretty fun guys. 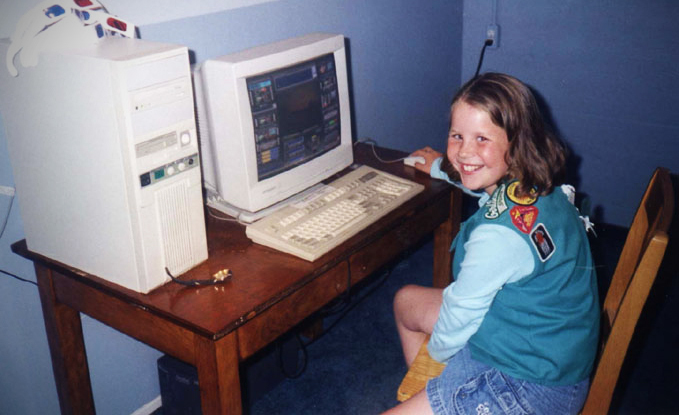 Hey guys… Love your blog! My name’s Jordan and I’m a senior at Indiana University… I love craft beer and good scotch. My favorite beer is an Indianapolis, Indiana Brewery Sun King. They were at GABF and won several awards. Did you guys get to try any of them? My name is Jeff and Sam Caligonie of Dogfish Head is the Keanu Reeves of Craft Brewery. I kinda figured that Vegas was a wasteland of all sorts, not just craft beer, but I never got off the strip, do what do I know. Thanks for posting, Matt. Hope to see you around. Actually, you might be surprised at the natural beauty around here within an hour or so drive from the strip. If you ever come back and have some spare time, you should really check it out! Even craft beer is becoming a little less of a problem, they at least have Rogue Dead Guy and Deschutes Black Butte Porter (among others) in the lounge at the Cosmopolitan. Hey, I’m a beer lover from NNJ & your site was recommended to me by a relative (Frank from Ringwood, I believe Jim knows him). I enjoy the site. Don’t have too much time to post, but I stop by once a week or so and see if there is anything interesting to read. Frank’s an awesome dude who deserves the best – thanks for reading, Darren! Hello! My name is Sara and I’m a beer geek from Michigan. My fiance and I homebrew, plus we like to frequent local brewers when we’re out and about. Good thing Michigan has lots of options! I’m an IPA girl, but will drink nearly any kind of beer (unless it has chipotles in it). On the site, I enjoy the infographics and the great mix of silly, serious, and statistics! Actually just tried El Mole Ocho last week for the first time. Not a big fan of spicy food/drink in general. A friend brewed a chipotle ESB that was spicier than the El Mole. Kind of a strange feeling: cool beer but it burns! I’m Amanda. I work for Finch’s Beer in Chicago IL. I do all the social media. I tweet a lot of stuff you post, even threw you up on our FB wall once. I must say my first and true love will always be whiskey and then the beer. Anywho, you guys are great! I came across your podcasts maybe a year or so ago while browsing around online during a fevered bout “I want to know more about bourbon”, and that lead me here to your blog, which i also enjoy a lot, both the humor and the info. I was sad that you guys didn’t continue the podcasts. I’m much more of a whiskey than beer guy but since they’re both coming from the same place well, you know, why discriminate? I don’t get folks saying whiskey is too pricey compared to beer. Whiskey is much cheaper and lasts a lot longer when you really think about it, it’s beer concentrate! I’m still enjoying the barley based Brubar energy bars that I learned about from you guys. That guy still offers them half price and free shipping, which works since I’ve never seen them here in NY..
Agree with you Don about the Weller Antique 107 being awesome for the bucks. I would add Elijah Craig 12 yr and George Dickel #12 to the list of really great underpriced whiskeys. Thanks for all the trouble you guys take to keep us entertained! Seriously!